Elder Taniela Biu Wakolo has become the first Fijian to be a General Authority Seventy of The Church of Jesus Christ of Latter-day Saints. This is a high-ranking appointment in the LDS church hierarchy. There are currently eight quorums of the Seventy. Elder Wakolo is a member. Members of the Quorums of the Seventy are often referred to simply as “Seventies.” Seventies are called to serve as special witnesses of Christ, proclaim the gospel, and build up the Church throughout the world. They work under the direction of the Quorum of the Twelve Apostles. General Authority Seventies serve in the Presidency of the Seventy, in Area Presidencies, and in other headquarters administrative functions. Under the direction of the Quorum of the Twelve Apostles, they travel frequently to meet with and teach Church leaders, missionaries, and members of the Church in local congregations. General Authority Seventies have authority to serve anywhere in the world. Area Seventies’ authority is generally limited to the area where they serve. 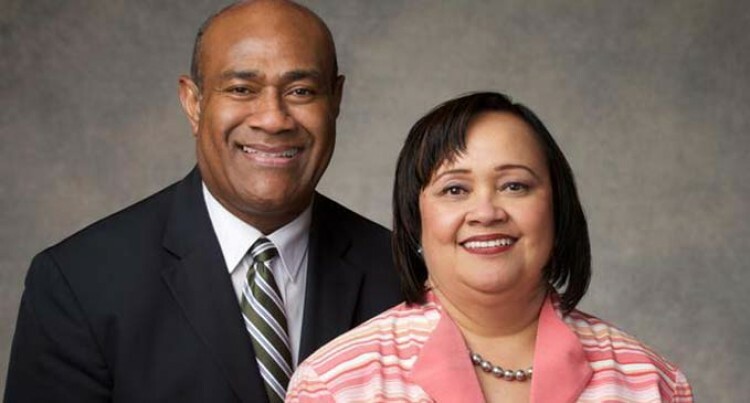 When he was sustained on April 1 at the church’s bi-annual conference at Salt Lake City, Utah, he had been serving as president of the Arkansas Little Rock Mission. Elder Wakolo studied management and public administration at the University of the South Pacific, Laucala Campus. In 2007, he received a master’s degree in management from the University of Sunshine Coast. Most recently, he was service center manager at the Church’s Fiji Service Center. Since joining the Church in 1994, Elder Wakolo has served in numerous callings, including seminary and institute teacher, branch president, high councillor, bishop’s counsellor, stake president’s counsellor, stake president, president of the Arkansas Little Rock Mission and Area Seventy. Elder Wakolo was born in Lomaloma, Lau, Fiji, on June 25, 1967. He married Anita Herberta Moimoi in August 1987. They are the parents of two children.